This was a sweet story. Awkward (and clumsy) teenager turns out to be a real-life Princess, and now she has to stand up to the occasion. Anne Hathaway excelled in this fairy-tale movie, with Julie Andrews as the adorable Grandmother. But it wasn’t about straightening her hair, or turning her unibrow into 2 separate eyebrows that made Mia a hit. It was her transformation from a carefree individual into responsible royalty that hooked everyone. 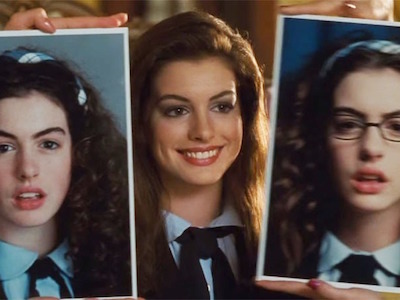 It’s one of the best makeover movies out there! Moral of the Makeover: You are not about who you were born as. You are all about who you are based on the choices you make. I loved Merryl Streep, and every time I watch this movie, I wonder – “Is Anna Wintour really like this?” But Andy (Anne Hathaway, again!) was the charming element of the movie. You could empathise as well as sympathise with her and her situation. But it wasn’t about her slow transformation from frumpy-looking to chic-model look that hooked me. Instead, it was about realising what she had in her hands, and working to do full justice to her role. Finally, she understood “Many girls would kill for this job!” – a dialogue many mouthed throughout the movie. Moral of the Makeover: Don’t wait for the next best thing to happen. Enjoy what you have. But always stick to your principles. Nia was not the best looking gal in her family. But she got a job, went to the beauty salon, made serious efforts to be more happy about herself. And in all that, she snagged the love of her life, and pulled off a huge wedding too. I remember watching this movie with my friends, including my boyfriend (now husband), and every time there used to be a funny scene related to the wedding, our friends used to just turn, point and laugh at us. But thankfully, our big fat Assamese-Marwari wedding wasn’t as funny! Memorable definitely. 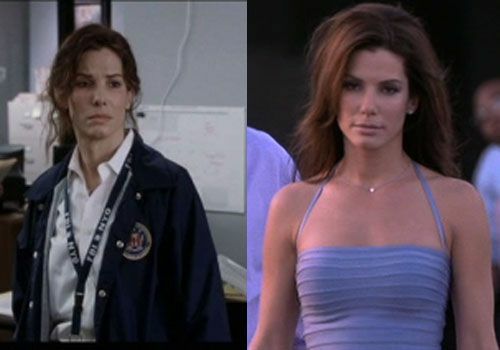 Moral of the Makeover: Take control of your life, no one else can live your life for you. When you’re unhappy, you have to make efforts to become happy. With this movie, she helped transform the idea of beauty pageants being fluff to something worthwhile in the minds of (some!) people. If you really think about it, beauty pageants ARE definitely more about being scholarship programs, rather than being all about the swimming costume round. Unlike our country, most beauty pageant winners go on to become more than Bollywood stars. They still support their causes, and are important role models to the young of their respective countries. Moral of the Makeover: Don’t make rash judgements on people and circumstances. You can become more than what you are right now. The only one stopping you from doing so is YOU. Released in 1988, this was a revenge story but I also like to think of it as one of the best makeover movies this side of world. Bad-Guy meets Innocent-Rich-Widow and cons her into marriage. Kills her by pushing her into a pit of crocodiles, and lives life lavishly off her riches with her best friend. Innocent-Rich-Widow actually survives, gets cosmetic surgery done, snags a Good-Guy, and avenges herself at the end. Moral of the Makeover: Create a goal and plan accordingly to achieve that goal. Don’t kill anyone, let Nature take it’s course. I find this an adorable movie. I love the idea that the plain-looking Suri loved the small things his wife, Tani, did for him, even though she clearly announced that she could never love him as a husband. Yet, Suri loved her, whether she packed him a lunch, or laughed at the movies. Raj was a vulgar fellow, yes. But truth be told, I’ve seen the likes of this Raj in the best of malls in Delhi, pink shirt, Gucci gold-encrusted belt on the hips, and tight reproductive-organ-crushing jeans! Moral of the Makeover: Experiment with new looks. You never know what might strike gold. But never lose your individuality. 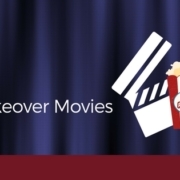 So, this was my Top 6 all-time makeover movies you must watch (or scan). And by bringing all these movies together on this list, I hope I have made you smile (or cringe/moan in disbelief). Of course you can go back to watching makeover movies starring Audrey Hepburn, but you should definitely try these 6 all-time makeover movies at least once. Come on!